Advance Tree Care Corp can take care of all your tree care needs. 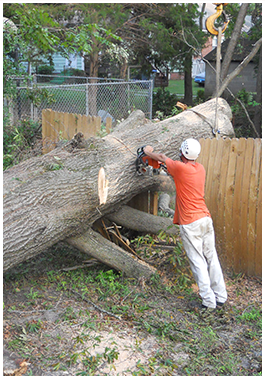 We are a fully licensed / insured tree removal and tree care service in Virginia Beach, VA. Our courteous and skilled professionals provide services to the entire Hampton Roads and Virginia Beach area. At Advance Tree Care Corp we fully understand that your home or business is your most valuable investment. Trees that are healthy and properly maintained will enhance the beauty and value of your property for years to come. Our goal is to go above and beyond to exceed our customer’s expectations. References are always available upon request. The professional services we provide are 24/7 hour emergency service, Virginia Beach Tree Removal, Tree Removal with a Crane, Tree Trimming and Pruning, Stump Grinding, Lot Clearing, Shrub and Hedge Pruning, Consultations, Chesapeake Bay Preservation Act (CBA) Tree Removal, Property Management/Commercial Complexes Maintenance, and Stream Debris Removal. Advance Tree Care Corp can handle any size job, from the largest of trees to the smallest of shrubs. Our Team of trained professionals have the knowledge to answer all your questions regarding tree care, tree maintenance and Virginia Beach tree removal. We strive to provide complete tree care services at an affordable price. Our 24/7 emergency tree removal service brings our clients peace of mind! 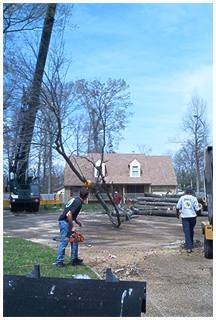 They know that they can call a Virginia Beach tree removal specialist to come at any hour of the night and offer affordable tree removal service. We make sure to be careful of any structures, fences, or buildings that are in close proximity. We make sure to provide an affordable, licensed, emergency tree removal service to our customers 24/7 in the Virginia Beach and Hampton Roads area. We’ve helped thousands with there emergency tree removal. Give us a call anytime to discuss your tree removal and tree care needs. Why Choose Advance Tree Care? Our staff are professionally trained arborists and tree care experts that are fully licensed and insured in Virginia. Our tree removal and tree care experts go to great lengths to care for your property and any buildings that could potentially be damaged. With our 24/7 emergency tree removal service you can sleep easy at night knowing there’s reliable, professional, and dependable Virginia Beach tree care experts just a phone call away. You have a tree down that needs to be removed but it’s too large, stuck, or in a bad location. A tree needs to be removed that’s too tall, too large, or in a spot which could potentially damage your house, garage, or neighbors house. A tree might be diseased or dead but your unsure if it can be saved or needs to be removed. A lightning strike, high winds or other natural events make a tree unstable and needing to be removed. Read more reasons why having your tree removed by Virginia Beach tree removal experts is important. Have Questions About Our Tree Services? Contact Advance Tree Care Corp’s tree care professionals, in Virginia Beach, VA, today, at (757) 202-5538. Great company!! Did a wonderful job removing huge pine trees that were very close to my house, cleaned up well, were good communicators and timely if I ever need tree work to be done again I will definitely use them!! Kudos to advanced tree care!!!! thanks for a job well done!!!! Thank you for taking care of my shrubs. You guys did all of that work without messing up my Azaleas. I will call you again thanks. Outstanding job.. everything was completed in a very professional manner. Best price in town and very prompt service. Highly recommend. Thanks Bill.